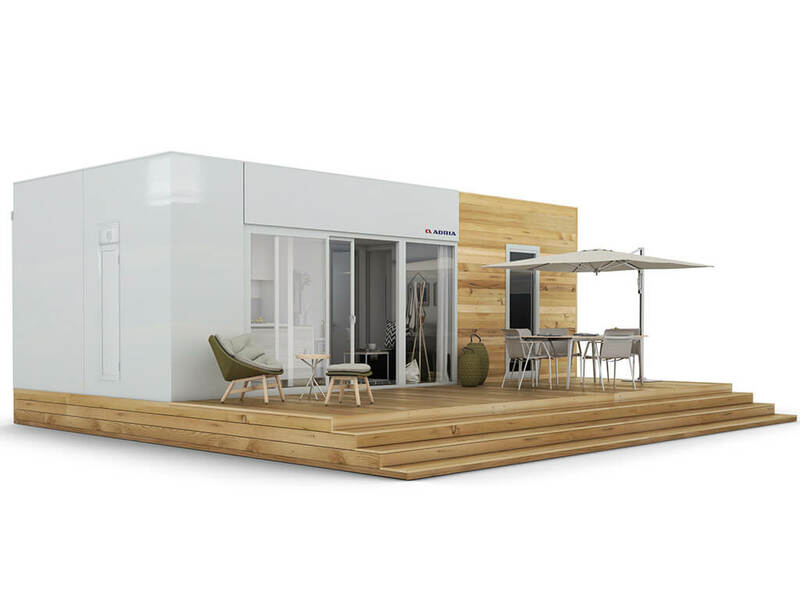 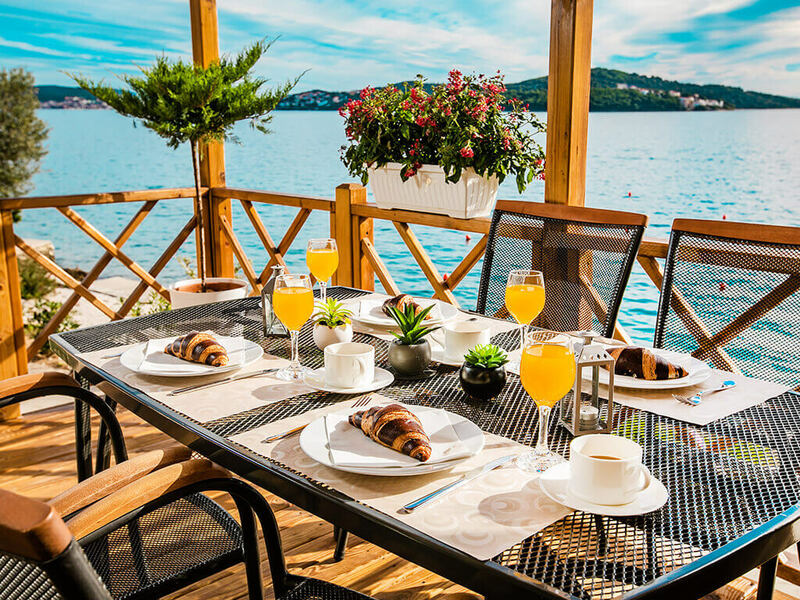 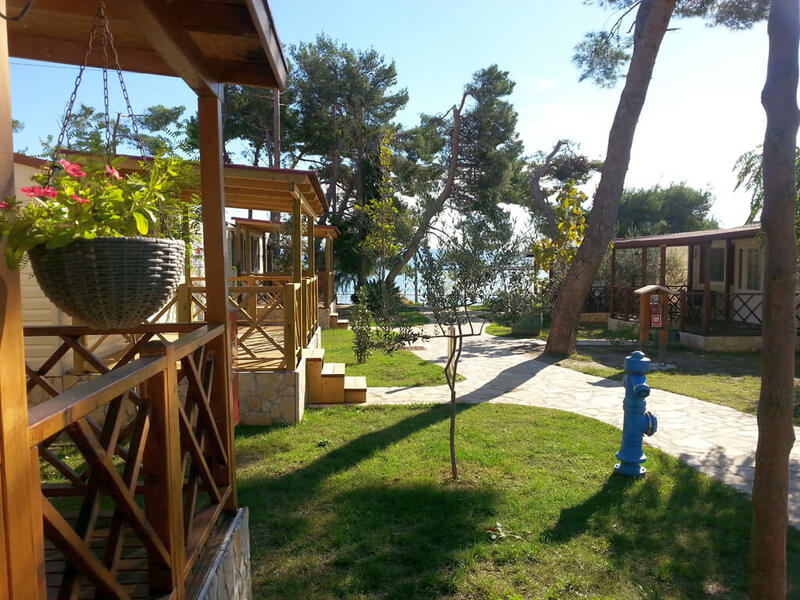 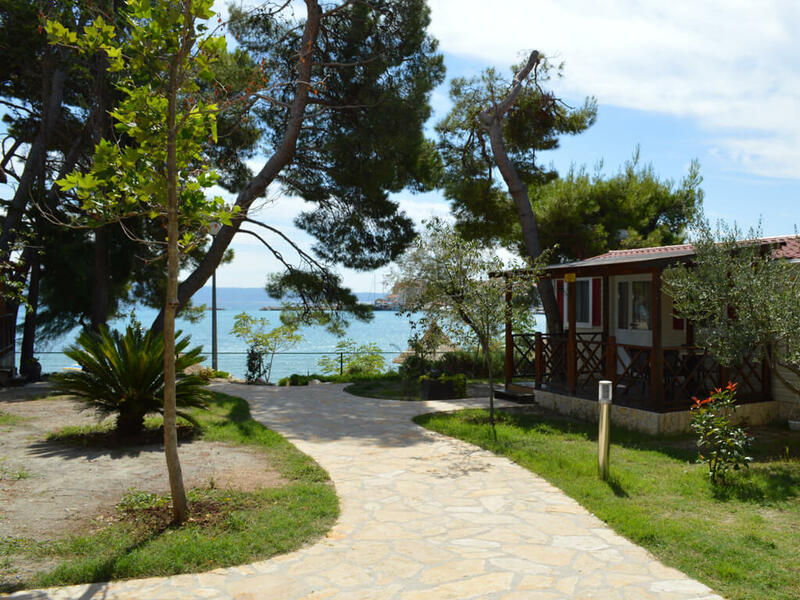 Mobile homes in Split are ideal for stays in nature in any season. 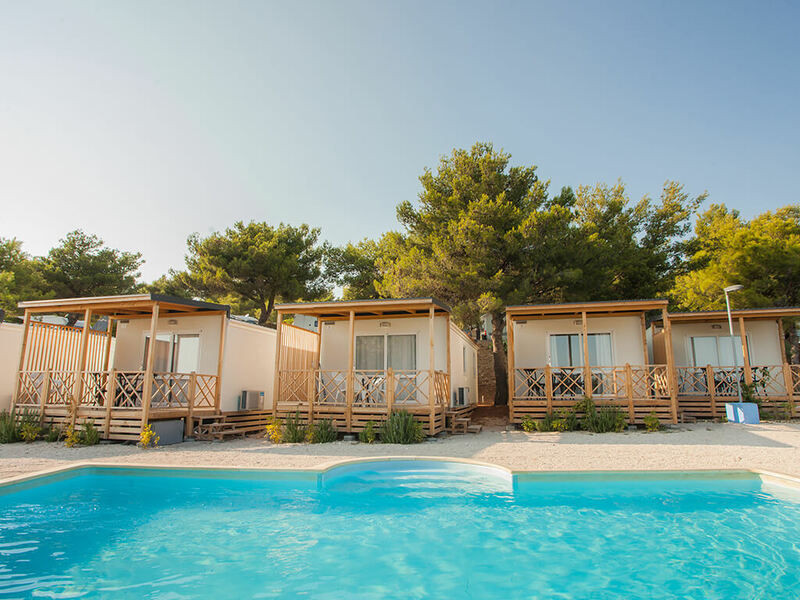 Whether it concerns an escape for two, a wellness break or a long summer stay with family – these mobile homes are an excellent choice! 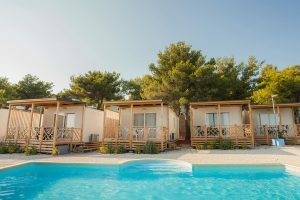 Located in campsites which are open throughout the year, mobile homes in Split are unique as they provide stays enriched with numerous facilities and activities. 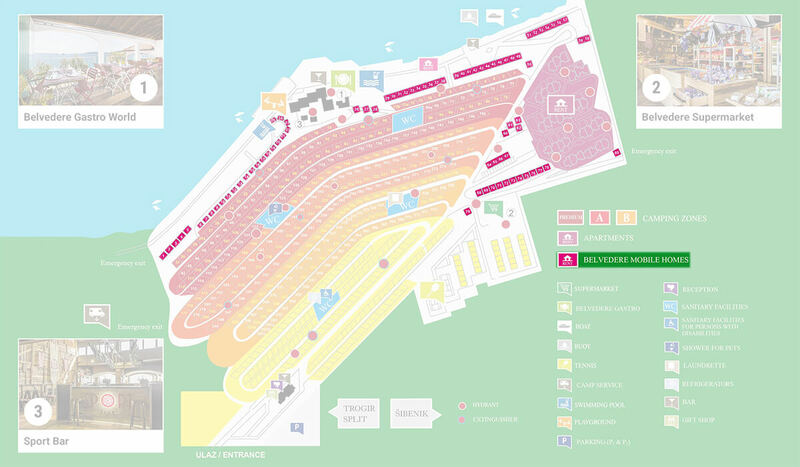 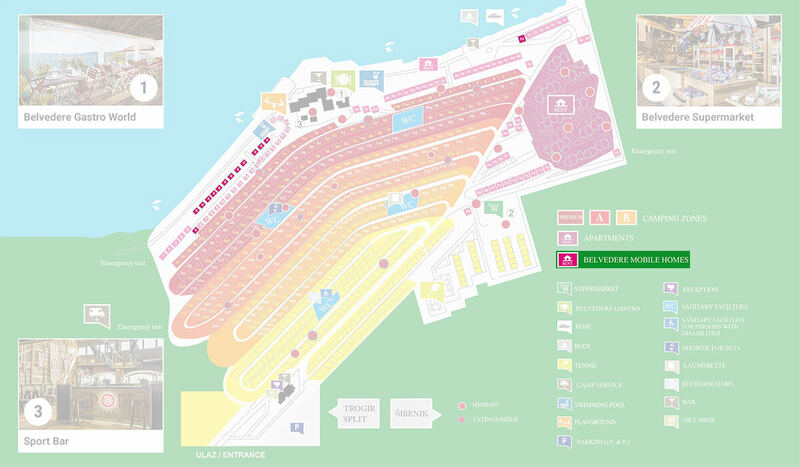 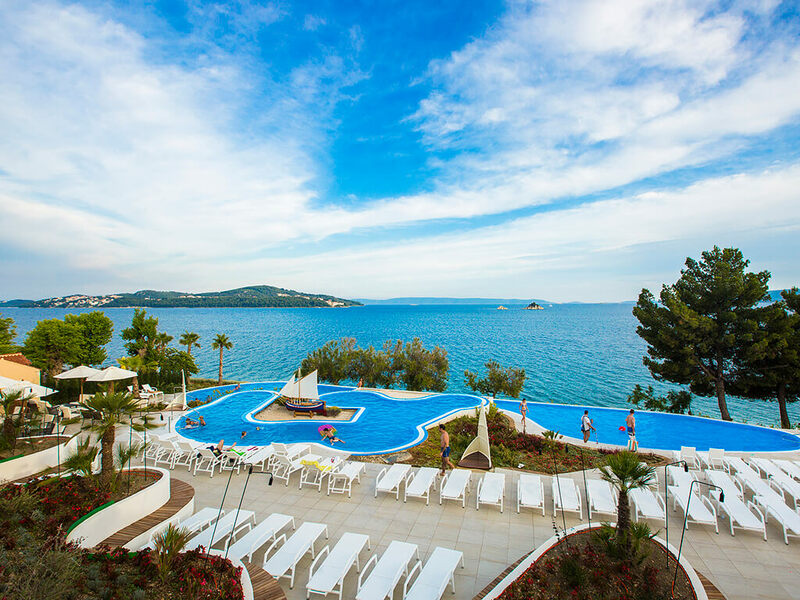 Outdoor swimming pools, and a relax and spa zone are just some of the benefits you can enjoy. 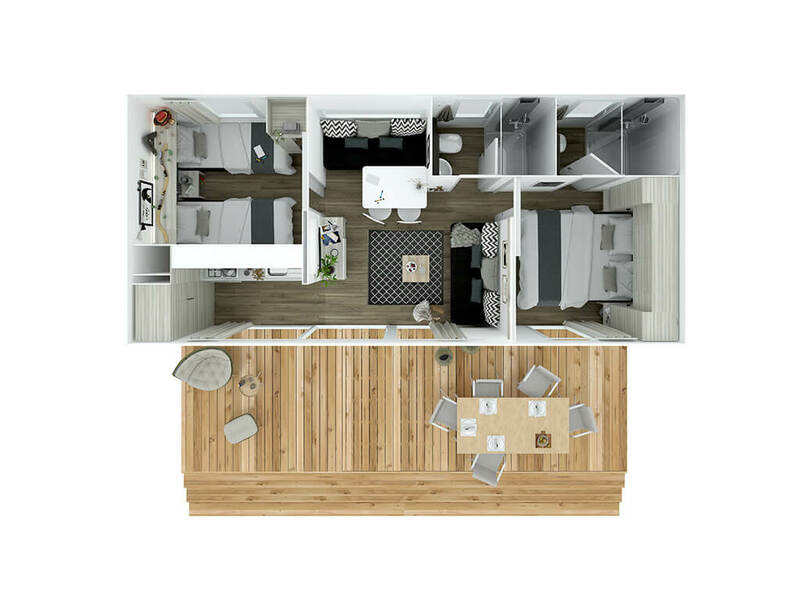 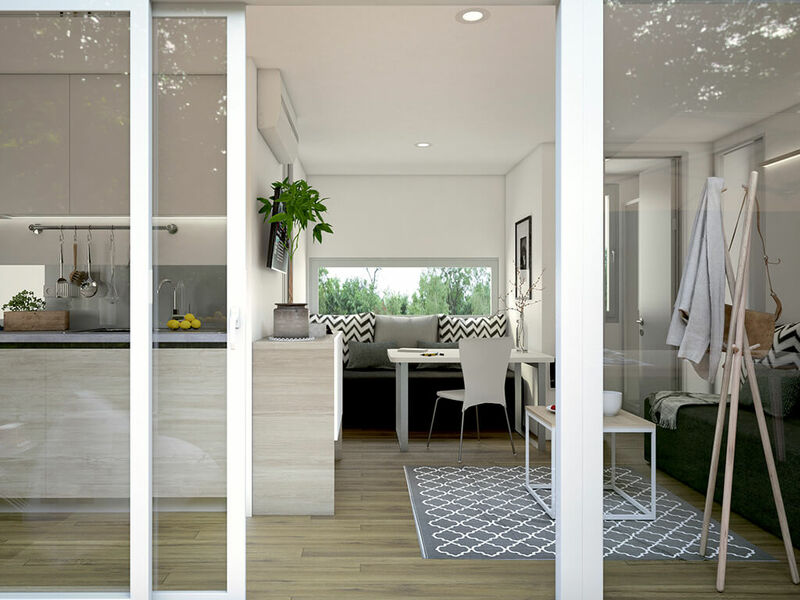 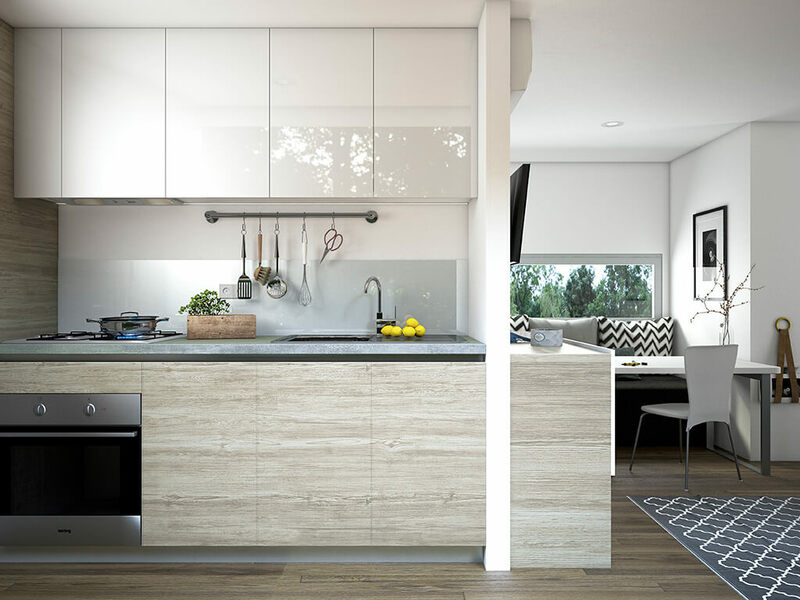 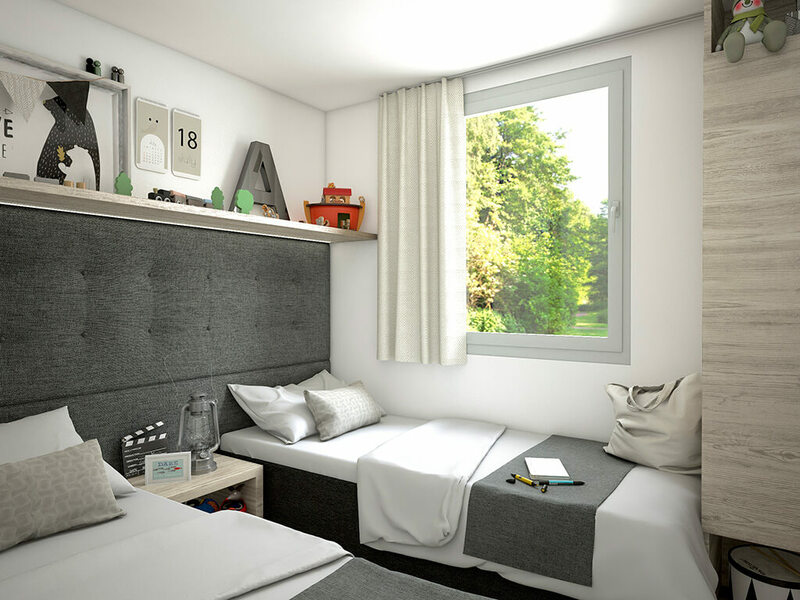 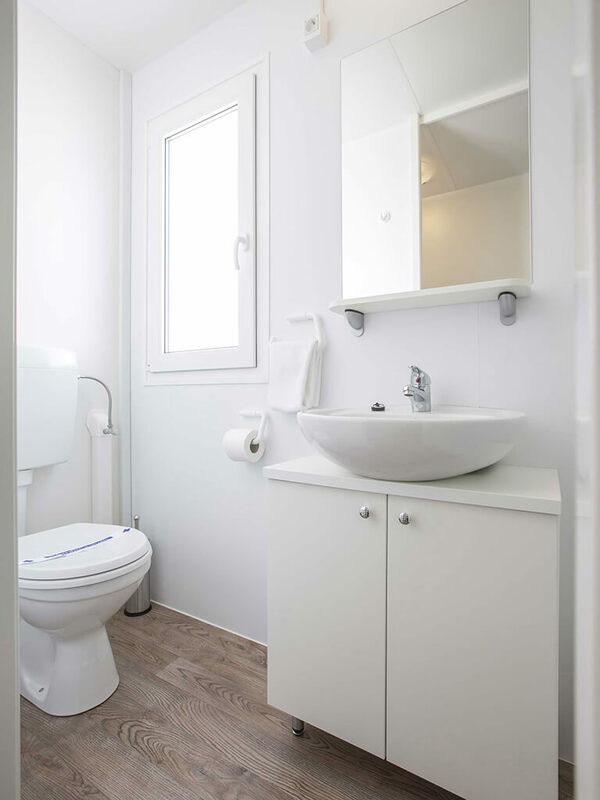 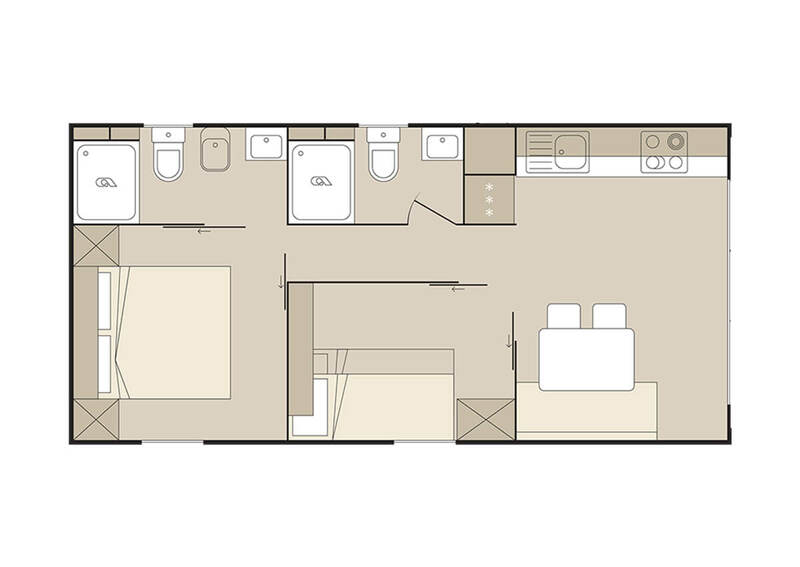 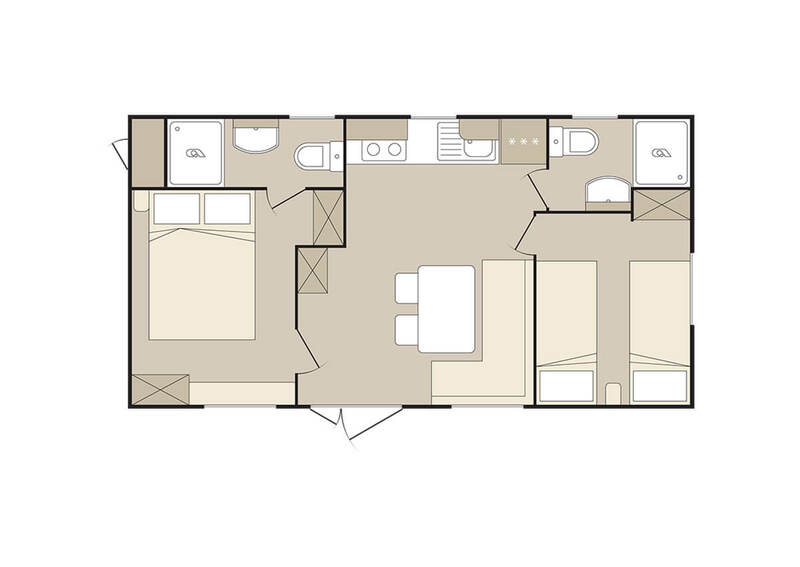 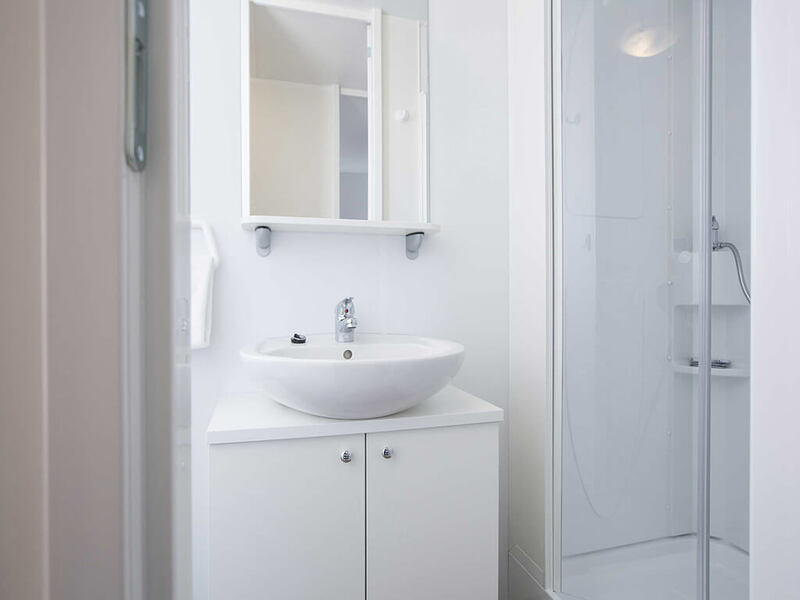 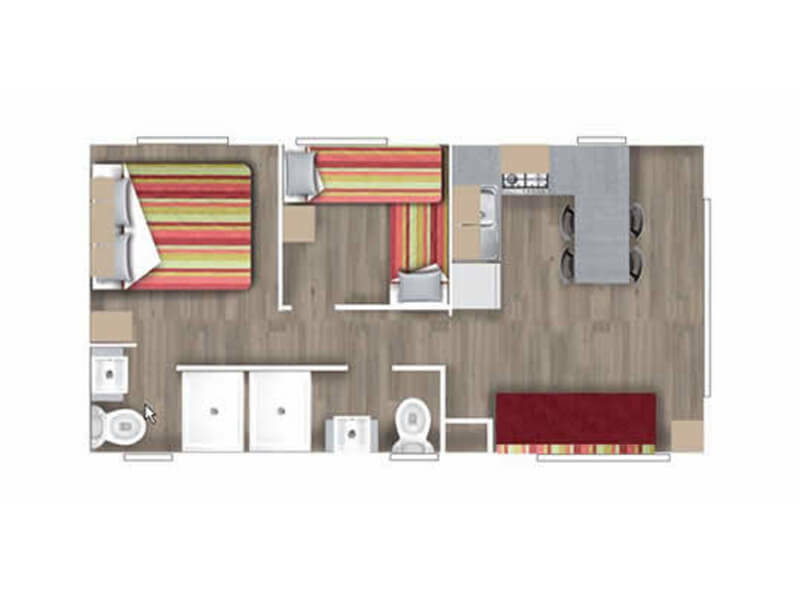 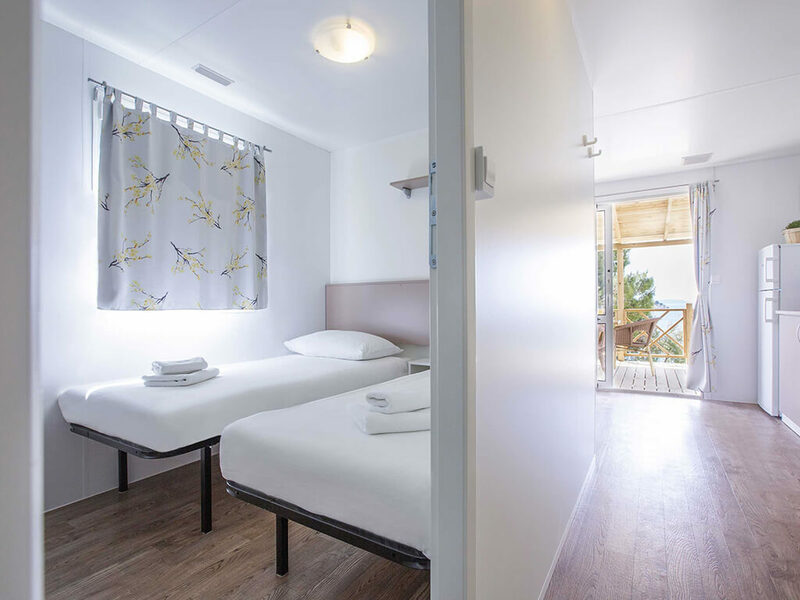 Equipped with standard fittings, these mobile homes have two bedrooms with two bathrooms, they are air conditioned and also feature a large sitting room with kitchen. 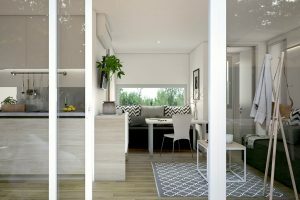 Apart from a covered terrace, some mobile homes also have a spacious garden. 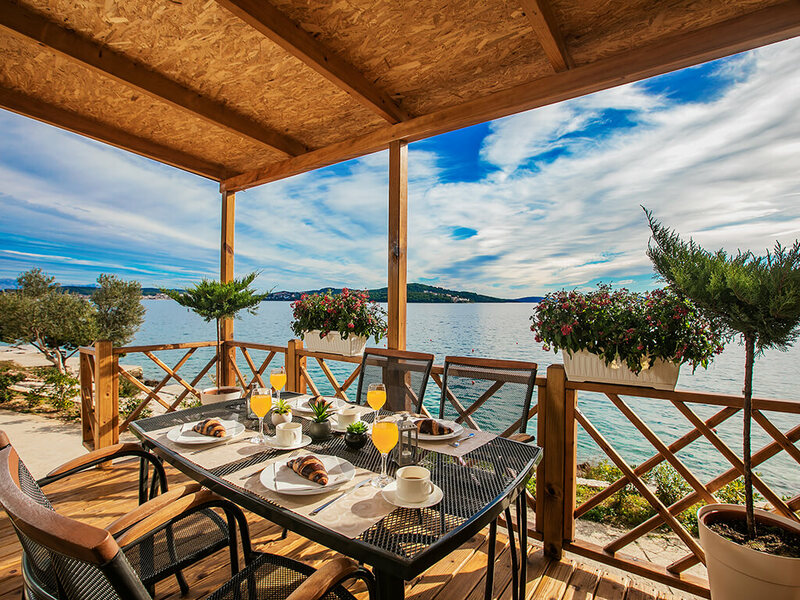 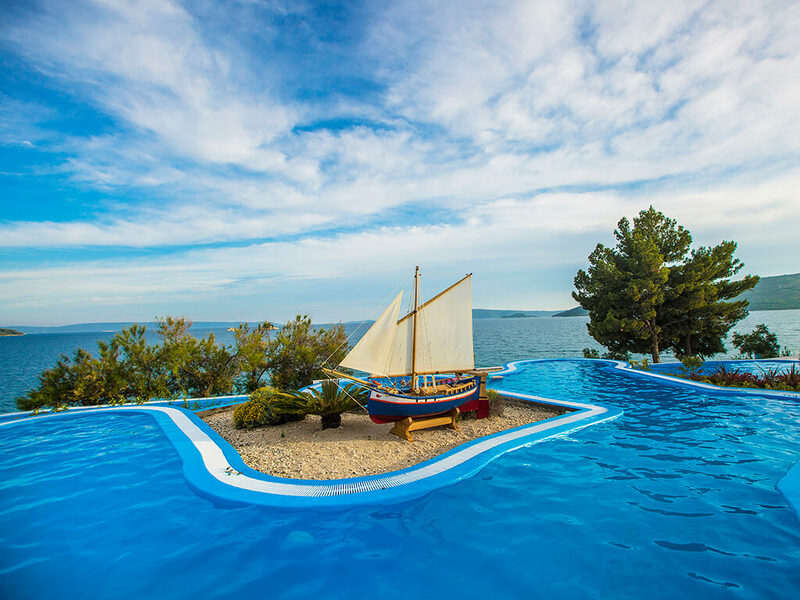 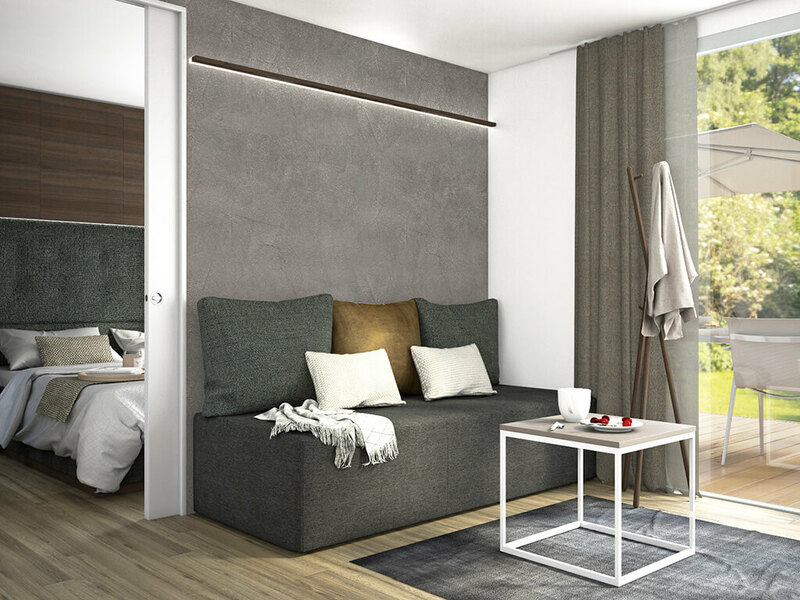 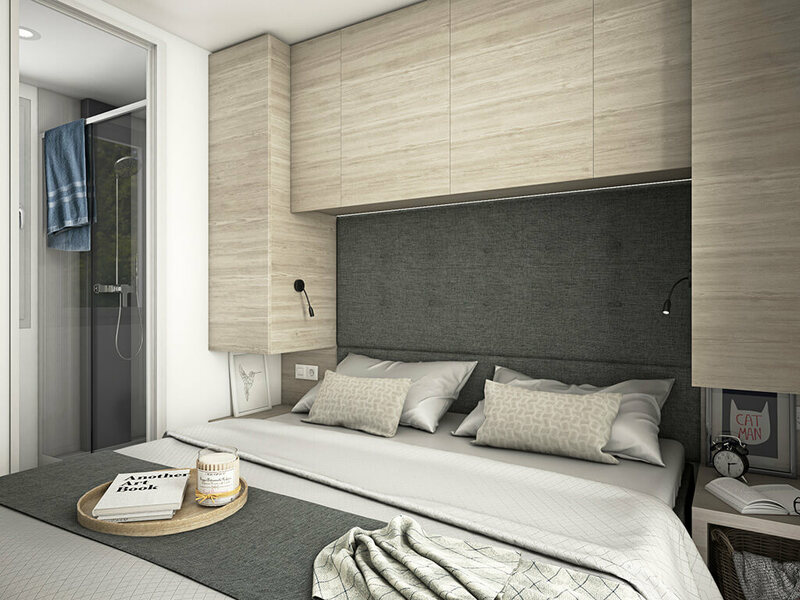 Find your mobile home and enjoy a holiday in Split! 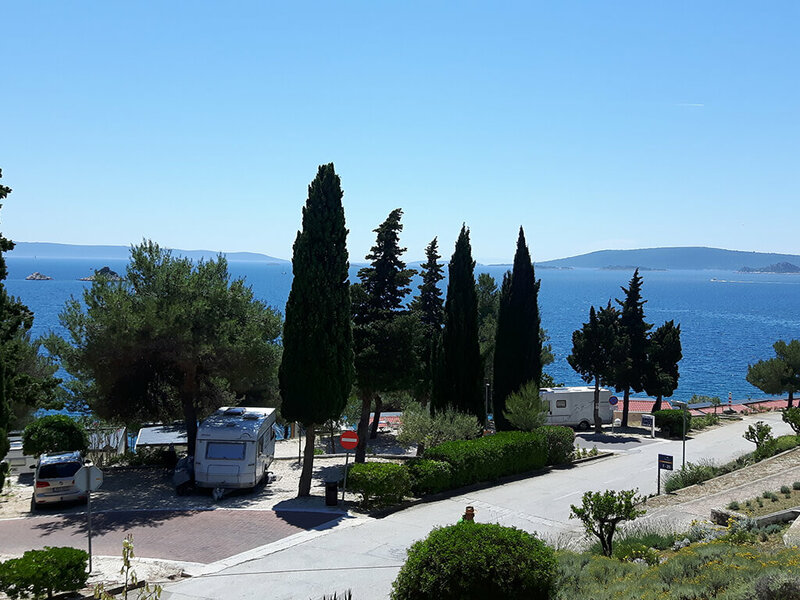 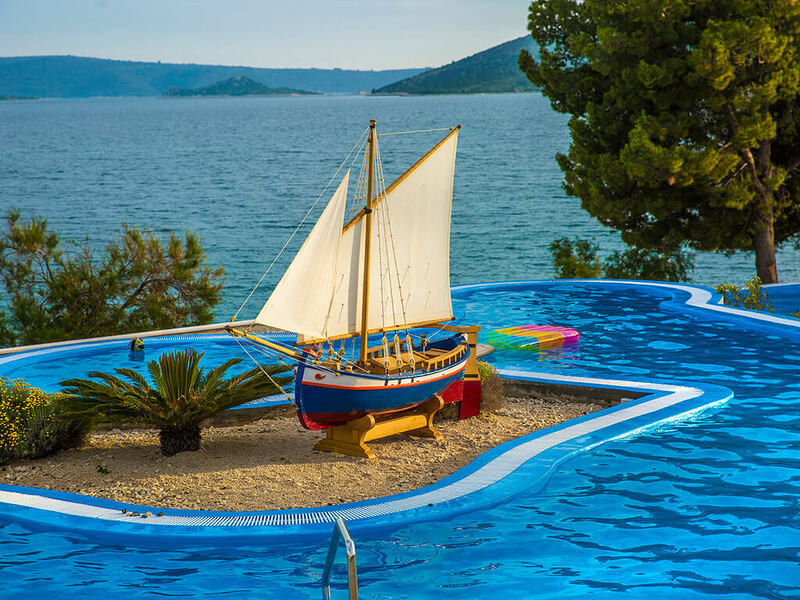 Mobile homes in Trogir are situated in the close vicinity of the sea, for which they are exceptionally famous. 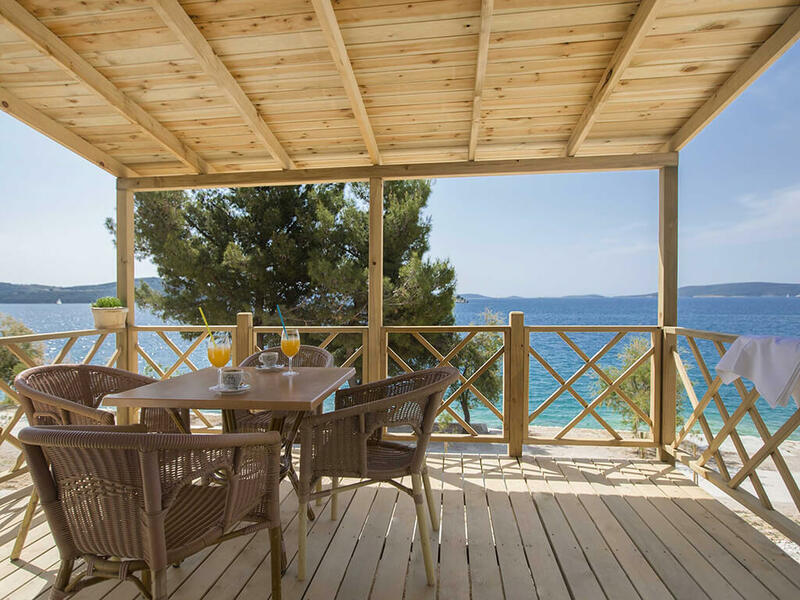 All these mobile home terraces face the sea and provide a unique view of the sea and nearby islands. 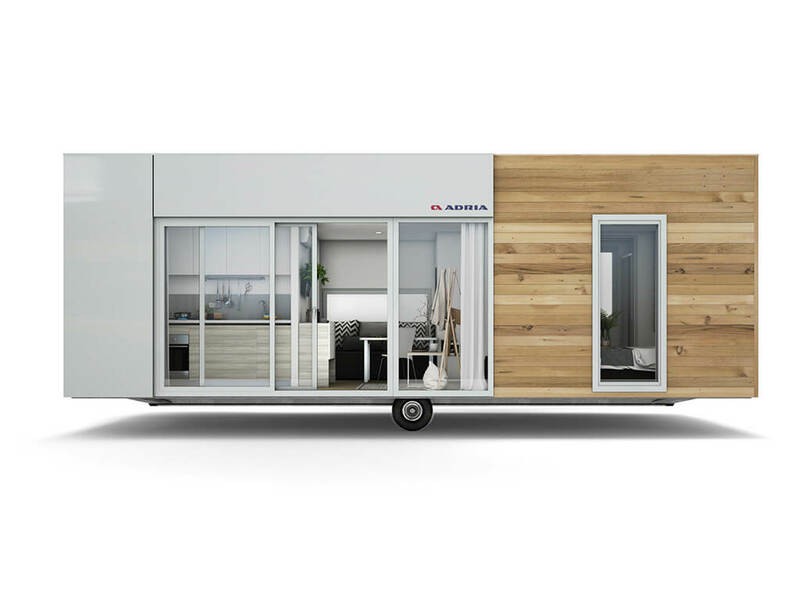 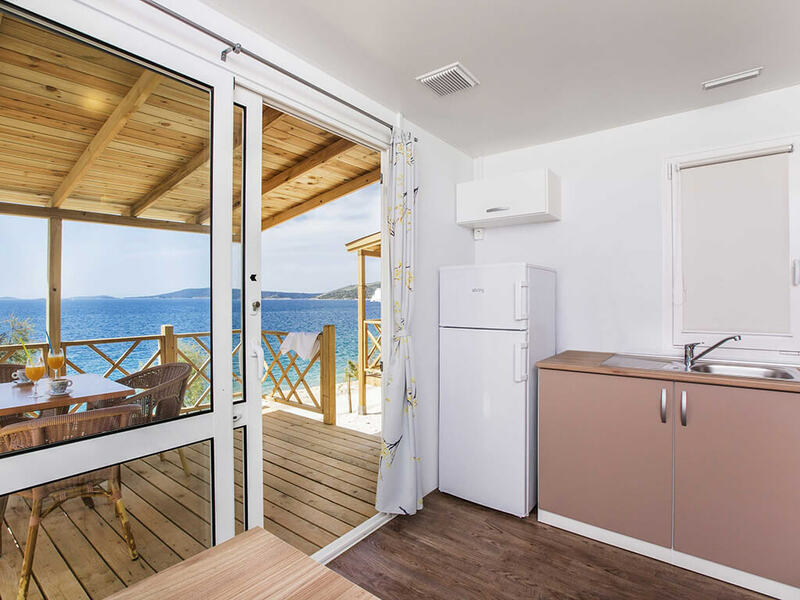 If you wish to spend your holiday in a mobile home with a sea view, these mobile homes are ideal for it! 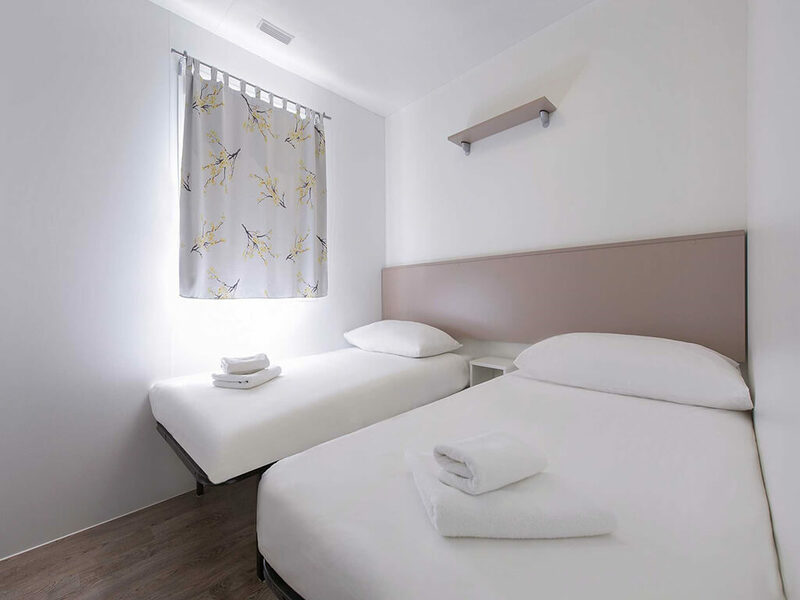 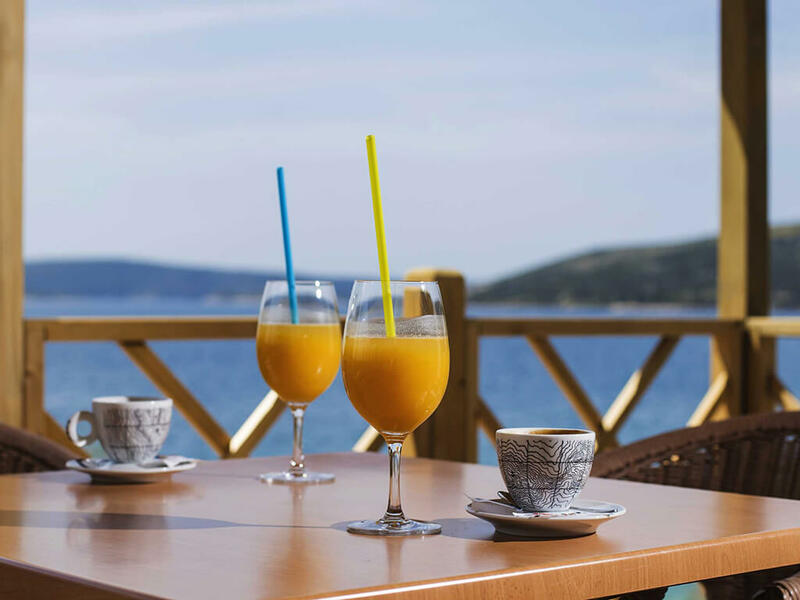 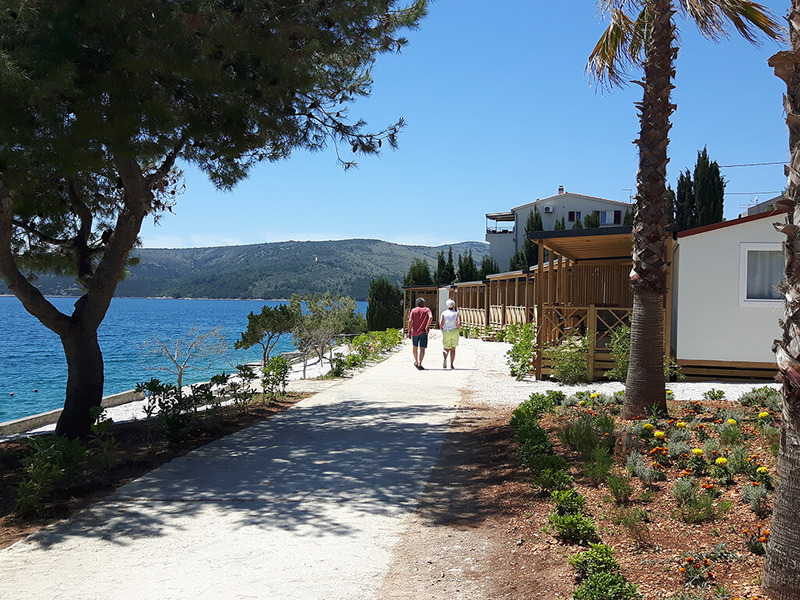 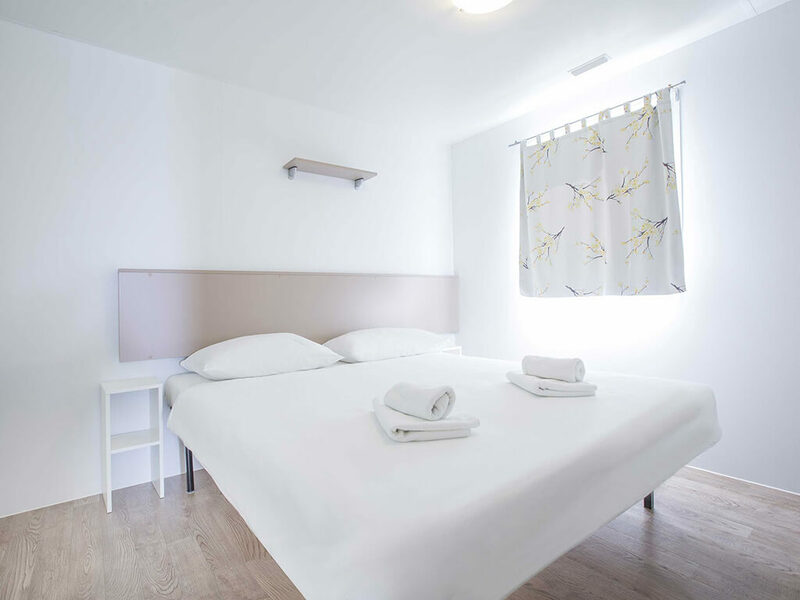 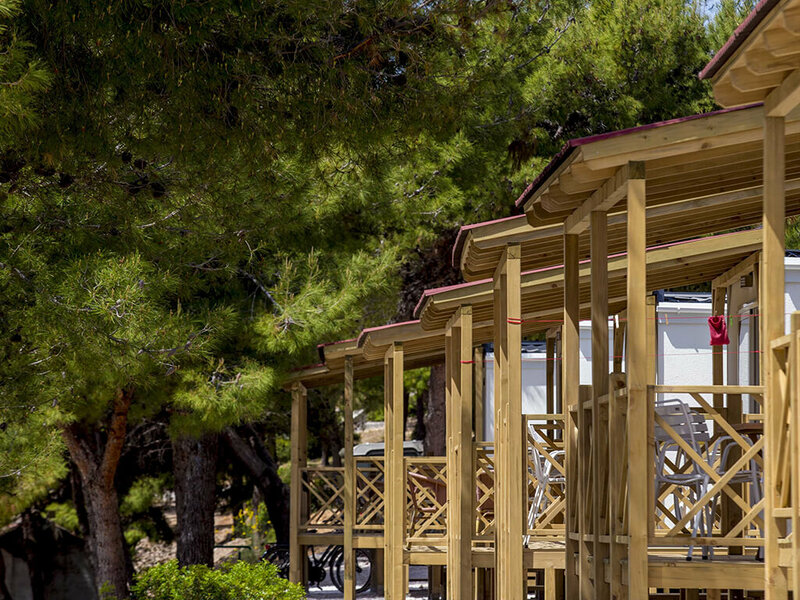 Apart from the town centre which is situated at arm’s length, mobile homes in Omiš are also special for their location within the campsite – right on the sandy beach or at just a few steps away from the sea. 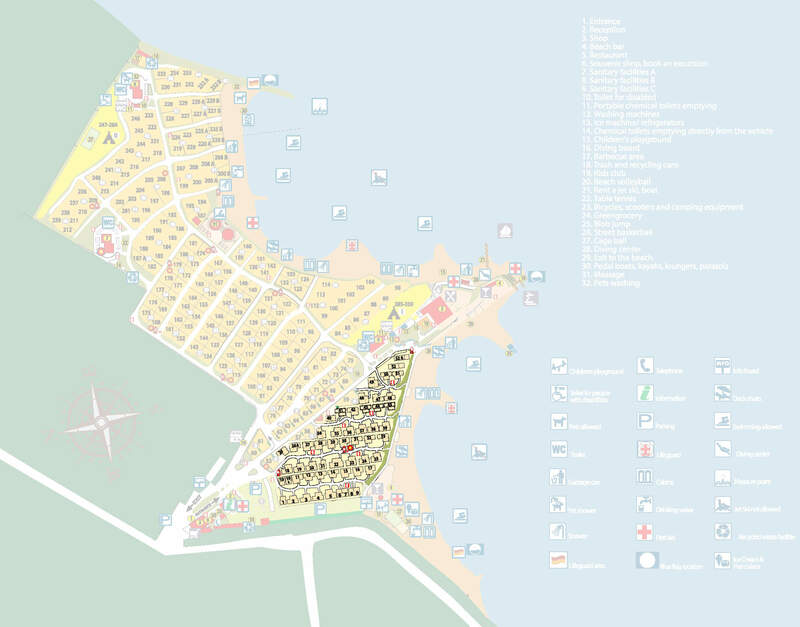 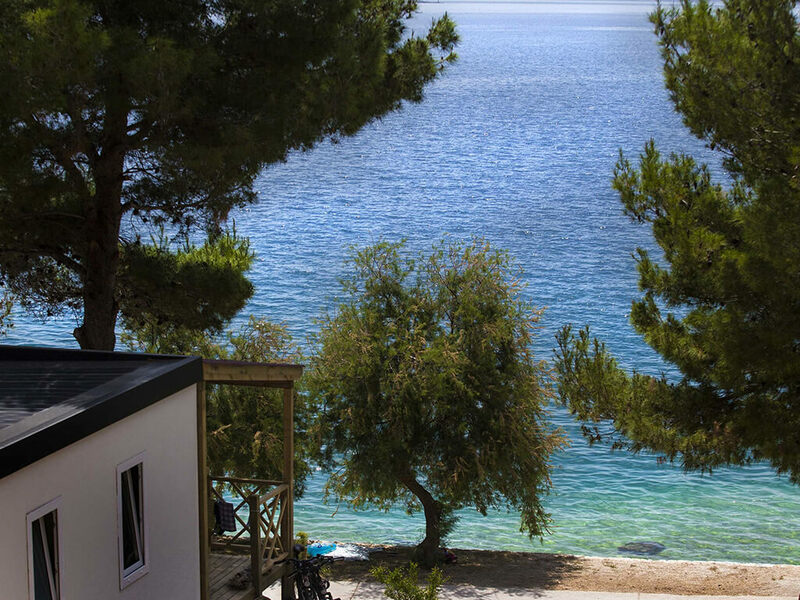 Look at all mobile homes in Omiš in one place and find your own mobile home by the sea! 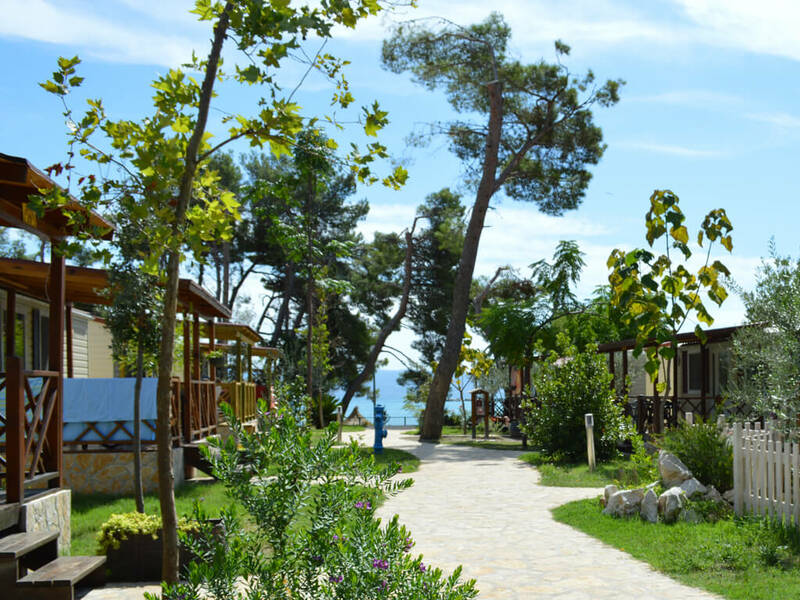 Hidden in the Mediterranean vegetation, mobile homes in Makarska are a perfect choice for your holiday by the sea, filled with relaxation, comfort and experience of nature. 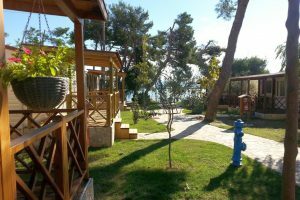 Have a look at our list of mobile homes and find your own for your holiday at the Makarska Riviera!